Since I began my Human Resources career twenty-plus years ago, the phrase “employees are our greatest asset” has been expressed by HR professionals time and time again. As a matter of fact, this mantra was even the motto and tagline at one of my previous employers, an HR Consulting firm. Well, I’m here to say that employees are not our greatest asset, and if you look at the facts hard enough, this shouldn’t shock you. Yes, we rely on them to show up on time, make our widgets, and serve our customers. But the reality, and statistics, shed another light on employees. We now live in a world of a highly disengaged workforce. Companies throughout the world suffer from this reality. You can look at Gallup polls or Gartner statistics and they will all point to the same conclusion: our ‘greatest asset’ is not committed to their work and the organization as a whole suffers. So, while employees could be an organization’s greatest asset, in reality they are not. More so, they are stopping organizations from reaching their full potential. Before we solve this dilemma, we need to understand the differences between non-engaged and disengaged employees. While non-engaged employees have ‘checked out’, they will put the time (but not the energy or passion) into their work. 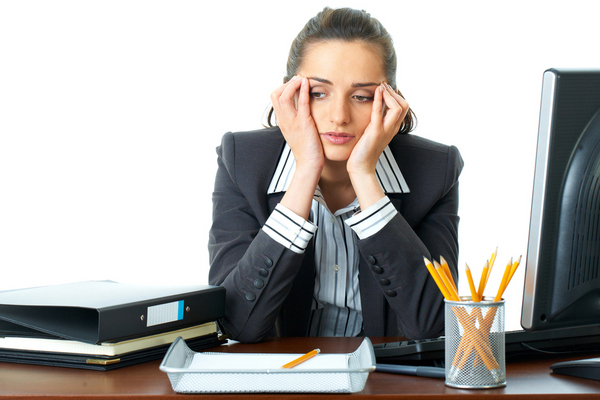 Disengaged employees are much worse. Employees that are actively disengaged are poison in the well. They aren’t just unhappy; they act out on their unhappiness, undermining everyone in the organization, including the engaged workforce. This disengagement causes increased absenteeism, lowers productivity, and increases turnover. It causes dissention, affects customer relationships, and decreases corporate profitability. Do you still think they are our greatest asset? You’ve been there. Look outside your organization. When was the last time you had a bad waitress? When was the last time a customer support representative told you “I’m sorry but I can’t help you”? These negative transactions are minimized with a completely engaged workforce. Don’t blame them; it’s not their fault. While the statistics are staggering (Gallup claims that 70% of the workplace is disengaged or non-engaged), many times employees are not to blame. Most folks don’t want to be unhappy (although there is a small population of the human race that thrives on unhappiness), nor do they want to feel like they are stuck in a dead-end job. But if they don’t want unhappiness, how did they get there? Where does the disengagement originate? Here’s a simple example of an internal process that has assisted in the increase of disengagement. A manager approaches an employee with a set of quarterly goals. The employee is responsible for achieving said goals, which are important to the organization’s success. The manager indicates that the employee will be measured upon that success, and three months later, the manager sits down with the employee and communicates the results of the goals. The employee is then rewarded (or not) at the conclusion of the assessment. Sound familiar? This traditional top-down, one-way approach offers no employee buy-in, but more importantly, stifles employee initiative. The unilateral decision-maker is the lawmaker, law enforcer, judge, and jury. Without input from the employee, motivation and creativity is killed. And without bottom-up, employee-led conversations, there is no emotional commitment to the process, the job, or the company. This is merely one example of a business process gone wrong, propelling the rise of a disconnected workforce. In today’s world, people need to be able to collaborate better with one another through open, two-way conversations. Employees want leadership to guide and motivate them to be better, but also want a stake in that success. They want communication and information transparency. They want to know that their opinions are heard (and that they matter). They want to be recognized for their achievements. And they want to be socially connected to a culture that allows them to share ideas freely to drive innovation and keep the company moving. You may agree with the statistics or not, but disengagement is a huge issue facing employers today. Over the past two decades, companies have spent billions on IT infrastructures, computer hardware, and software applications. They’ve automated business processes and developed better systems in order to propel the organization. But employees have changed, and their perception of work has too. It is now time for organizational leaders to truly focus on transforming employees into our “greatest asset” once again.